Terrai Tea Tree Bath Gel, with all natural foaming action, contains the goodness of Aloe Vera and essential oil of Tea Tree, blended to cleans and take away excess oil, without stripping the skin of its natural protective moisture. 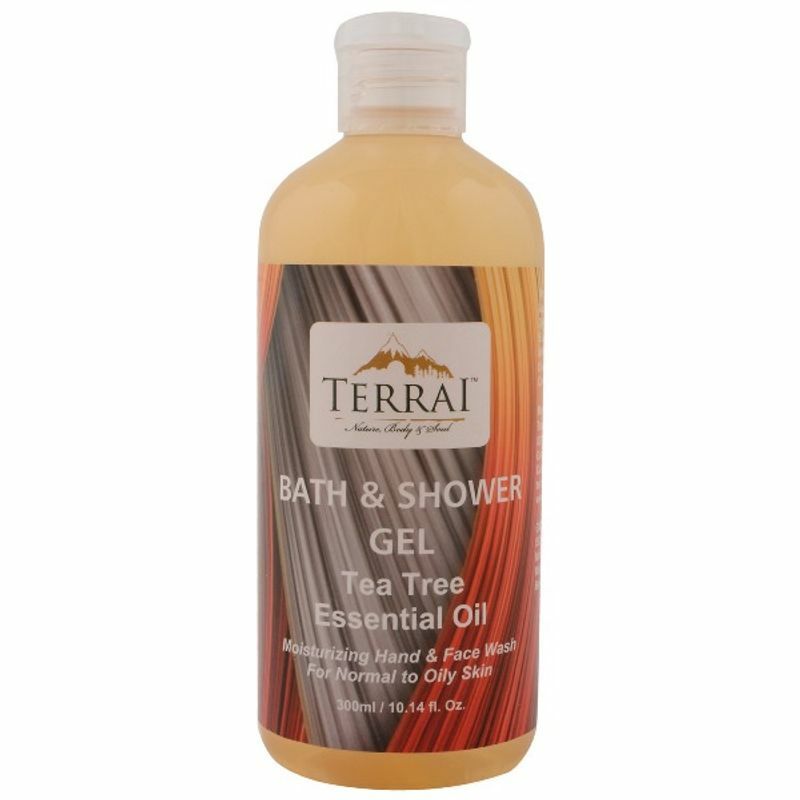 It's an effective pore cleanser that washes with care and leaves you feeling refreshed and revitalized. Aloe Vera extract works to soothe the skin as well as heal the damaged cells.